Innovate, Transcend, Realize, April 15 -18, in Phoenix. Let’s meet up. 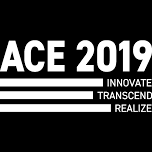 Aras’ annual ACE conference looks at ways to solve challenging business issues and set a clear path for digital transformation. It offers presentations from thought leaders, Aras community members, executives, and industry experts designed to fire up digital transformation initiatives. We’re looking forward to hearing the presentations from Microsoft, General Motors, MIT, Sandia National Laboratories, Huntington Ingalls Industries and Andersen Corporation. As always, it’s exciting to learn about what’s new and what’s next for Aras. Contact me directly if you would like to schedule time to meet up during the conference. myoung@xlmsolutions.com. Next: Which 3DEXPERIENCE Platform Works Best for You?